I’m VERY excited to go over all these “new” walls with you! This is a continuation from my last Wall Hopping Post which you can see here. I’ve been following a lot of people who have this things for walls for quite awhile. I’m not really sure why they don’t put the locations. It’s a bit frustrating; but I guess it’s fine. Maybe because of the foot traffic and all (especially in residential areas); BUT if it’s commercial wouldn’t you want to put where all these walls are located? I realized that some of these people I follow aren’t really locals. Looking at the other walls like Miami, Chicago, and London kind of put Los Angeles to shame! BUT we do still have a few good ones and we share common artists who produces these walls. Abbot Kinney is located in Venice. It’s a street like Melrose Avenue that stretches from Washington Blvd. to Main St. It has lots of small boutiques and restaurants and almost a walk away from the Boardwalk and Venice Canals. One of the best thing about Abbot Kinney is that you can park near the residential areas for free; just look out for the signs. LOVE bErto located at North side of the Otherroom, 1201 Abbot Kinney Blvd, Venice, CA 90291. 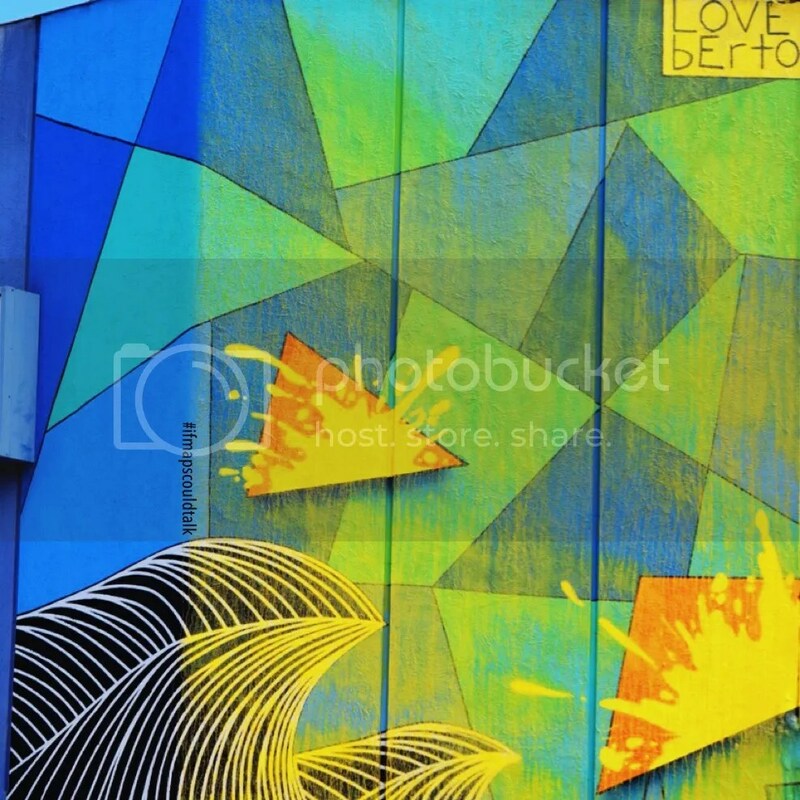 It’s not too surprising to see LOVE bErto near the beaches, just because most of his murals are very geometric and has wave designs. This is going to be one of a few you will see on this post. 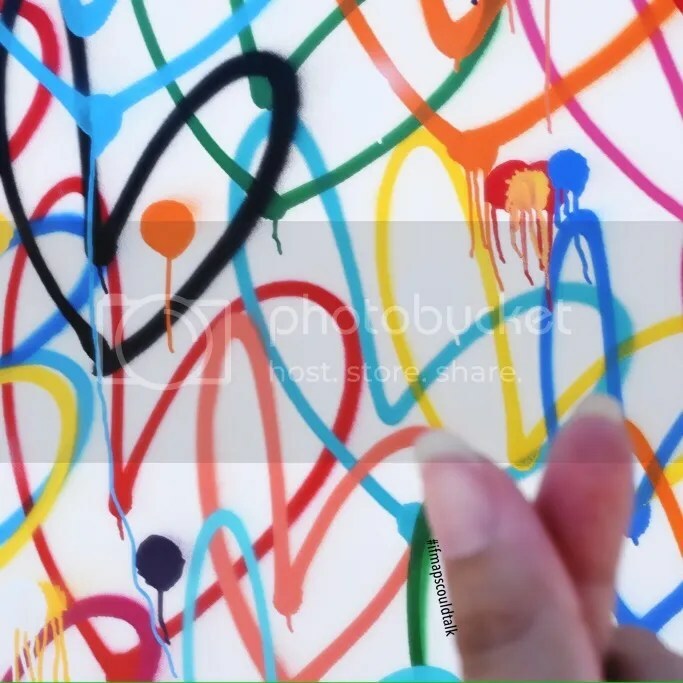 #lovewall/#bleedinghearts located on South side wall of the Greenleaf Chopshop, 1239 Abbot Kinney Blvd., Venice, CA 90291. This art is by JGoldCrown, a self-taught artist/photographer based in New York. Most of his art/murals are about the lovewall or the bleedingheart. There are others like this in Los Angeles based on his website; some of which are located at Lincon Heights, Eagle Rock, and Toms HQ in Santa Monica (I haven’t seen any of these so I’m not sure if they are still there). Fun Fact! If you walk down a little more on this street to Intelligentsia Cafe, you will find a little LOVE bErto on the arc brick wall on the front. 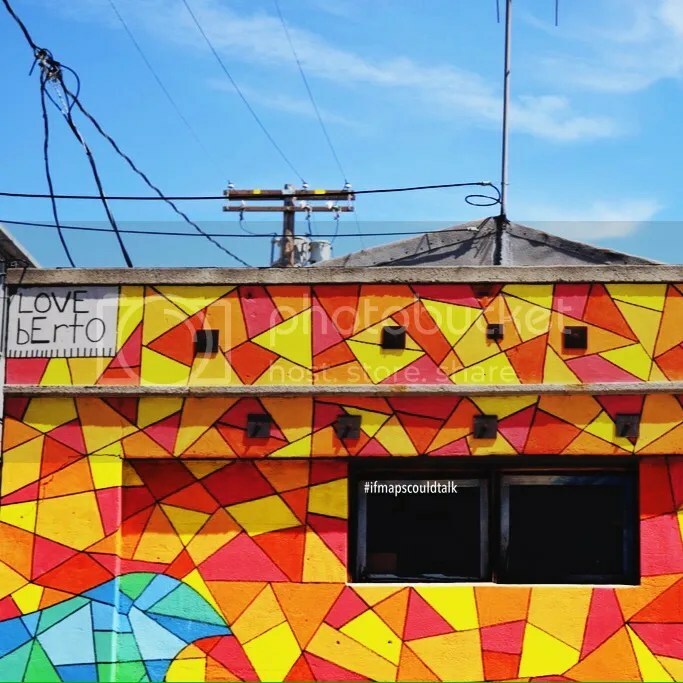 However, I saw two more Murals by LOVE bErto which are right next to each other at Pancho’s Tacos located 2920 Lincoln Blvd, Santa Monica, CA 90405. I was a bit in a hurry the day I went to Abbot Kinney and Lincoln Blvd so I didn’t have time to check out the rest of Lincoln Blvd. However, I did stop by one more place here. There’s a 76 Gas Station located at 300 Lincoln Blvd. Venice CA 90291. 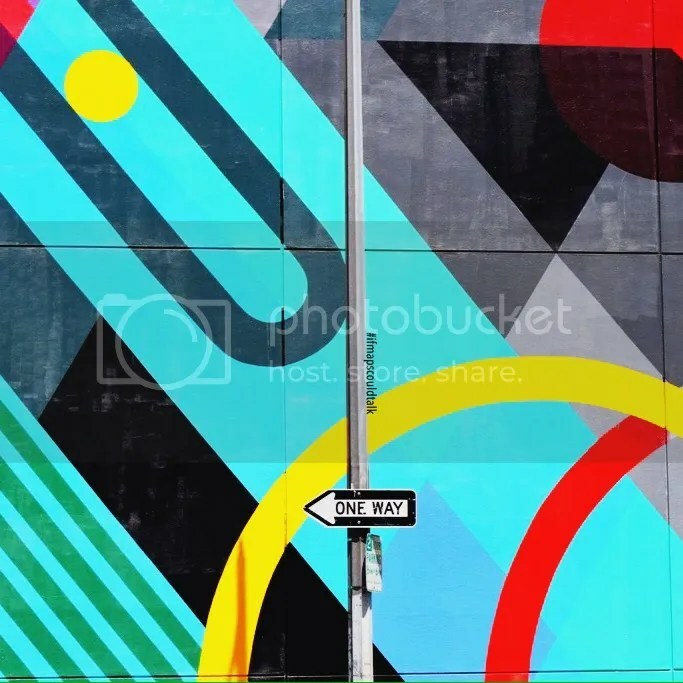 It reminded me of a Wynwood Wall located in Miami, FL. There’s a stretch on Washington Blvd between Robertson Blvd and La Cienega Blvd. that also has street art/murals. I have yet to check them out! I passed by because I wanted to check out the following walls. Painted by Jason Woodside, a New York based artist. Located at Rapt Studios in Culver City at 8970 Washington Blvd., Culver City, CA 90232. I’m pretty much in love with the colors on this wall. There’s another of his in the Gabba Gallery Alley. More on that in another post (here)! The parking structure for Platform; a retail, restaurant, and creative office space located at 8840 and 8850 Washington Blvd., Culver City, CA 90232. 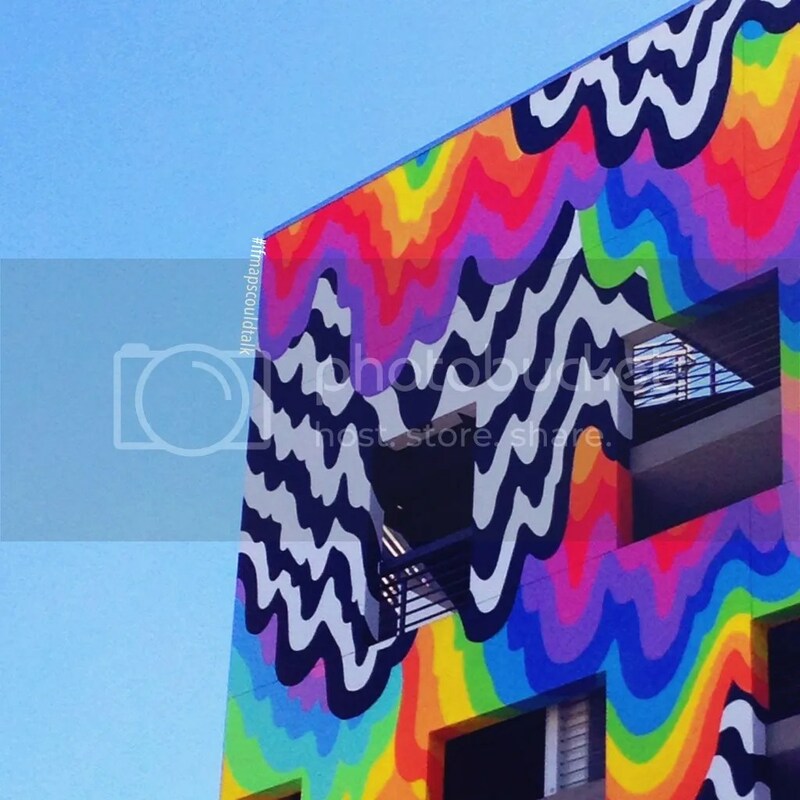 The colored dripping rainbow facade is by LA based artist, Jen Stark. If you happen to find yourself in North Hollywood, this mural is one to check out. This is only one part of it, all the other parts has windows! lol. 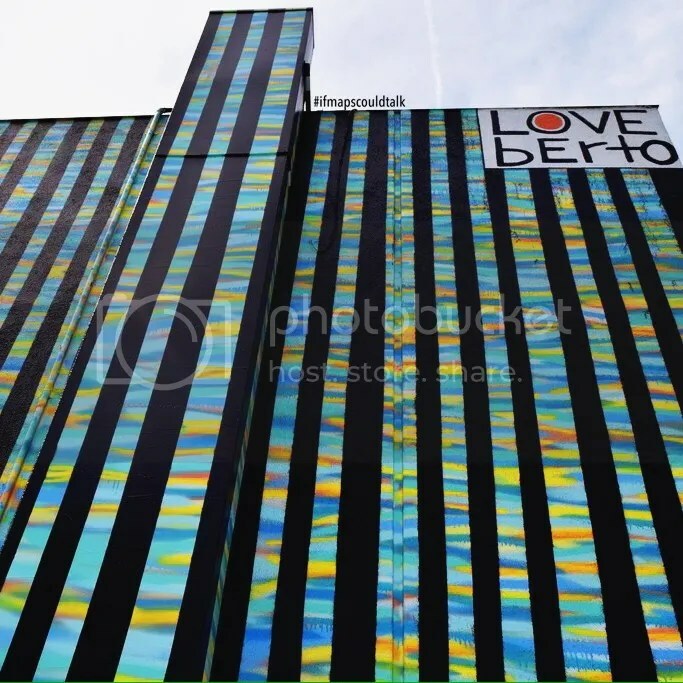 This mural is located on a building called the Studio Noho (5355 Cartwright Ave. North Hollywood, CA 91601) and can be viewed on the bike path on Chandler Ave. Mural is by a local artist DJ Neff. There are other street art/murals on this bike path too! 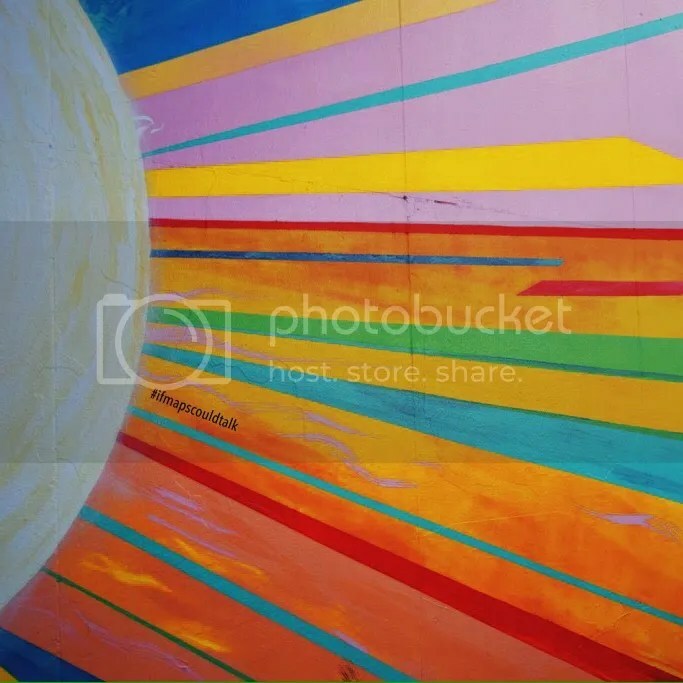 Located next to Italian Fabric (630 S. Los Angeles St., Los Angeles, CA 90014) on 8th St, is a mural by Teddy Kelly. 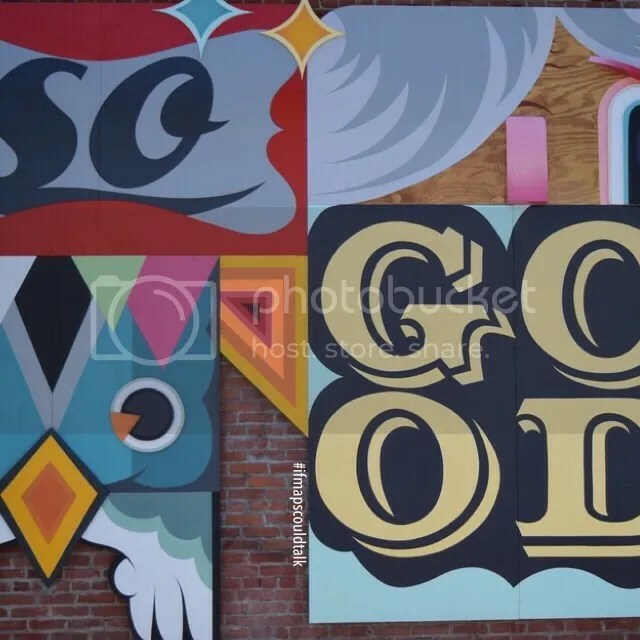 “Teddy Kelly is an artist and illustrator whose life and designs are the product of converging cultural influences.” Some of his work can be found in LA and in various buildings and events/festivals. 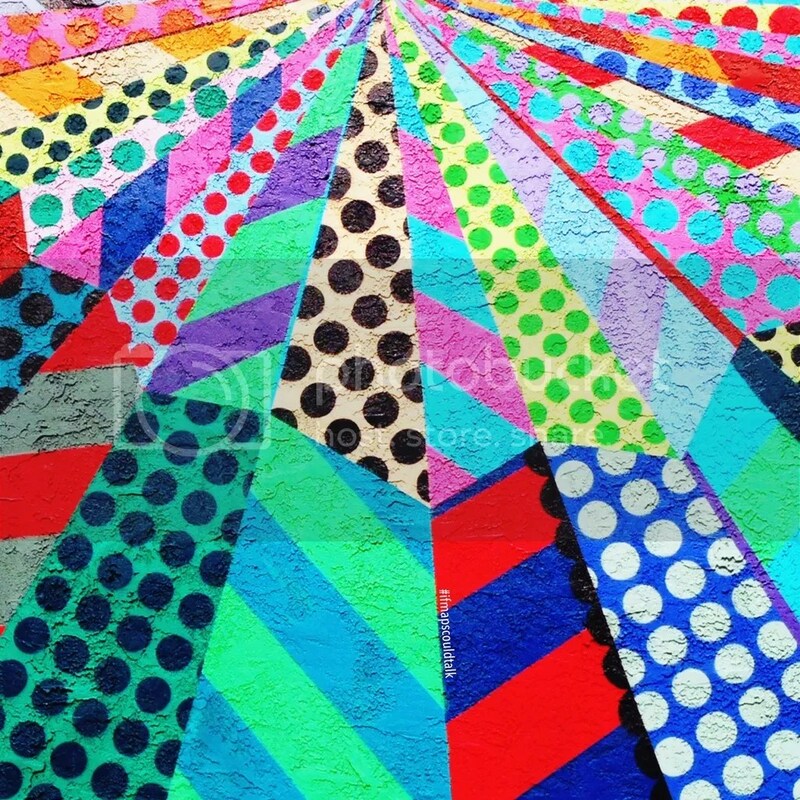 This a half of a mural called Coyote by Marilee Spencer, a new media visual artist based in Los Angeles. 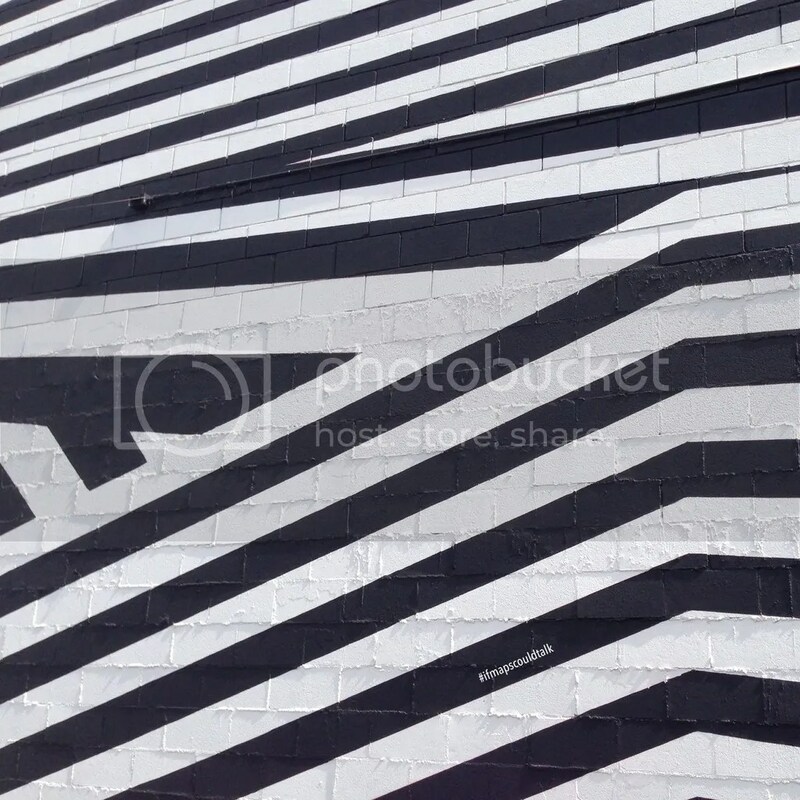 This mural is located next to the KazuNori Restaurant on 421 S. Main St., Los Angeles, CA 90013. As always, you can find the full list in this Google Map. Can’t wait to see what other walls I can find! 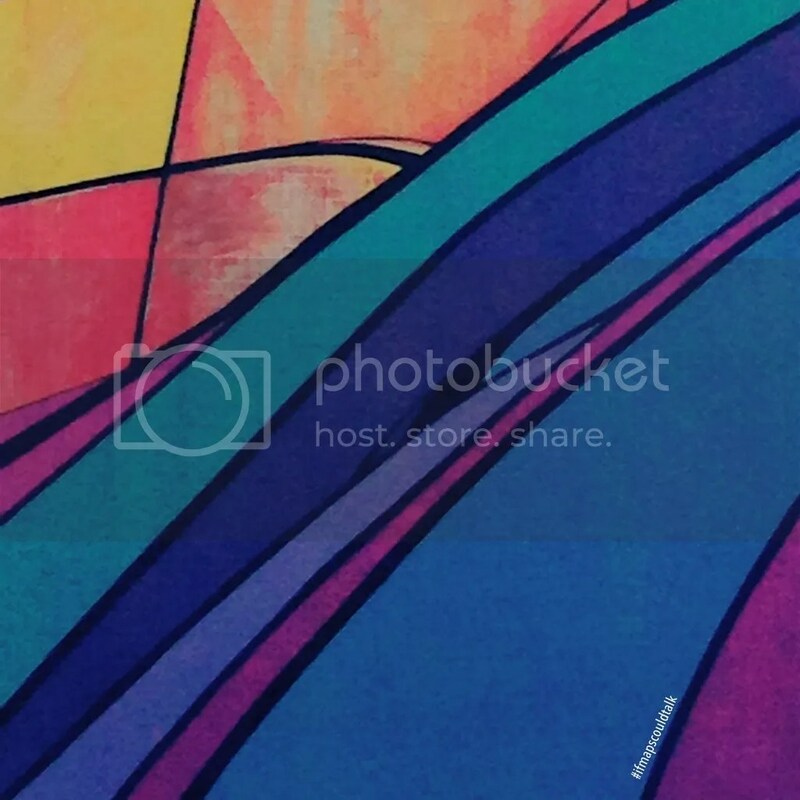 This entry was posted in Art, Beaches, Downtown, San Fernando Valley and tagged Culver City, Downtown Los Angeles, Los Angeles, North Hollywood, Street Art, Venice Beach. Bookmark the permalink.